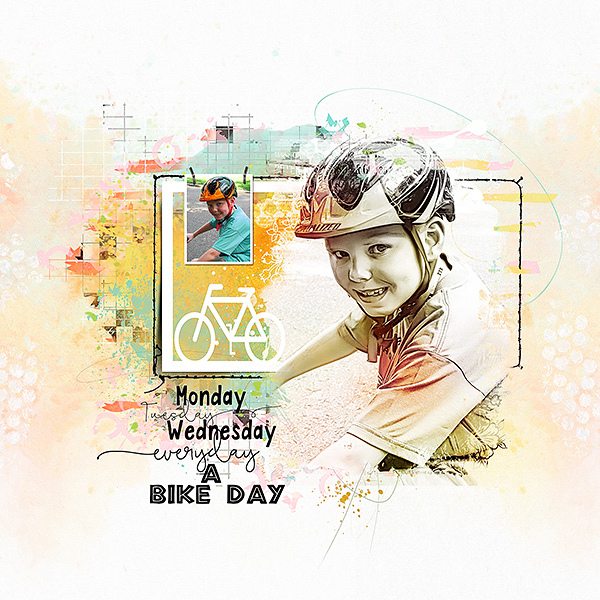 The Everyday Life Collection is a beautiful collection for making your everyday life pages. Beautiful happy and bright colors, wonderful bits and pieces, colored wordarts, and some awesome photomasks are making this collection a very beautiful one! Oh and let’s not forget the magic lights, that i used in my page! I used them over the photo here and i used a different blendmode! I think it was color burn. It is so fun to play with them! I find out that color burn and overlay, and sometimes screen for some lighter results, are giving you a great look!